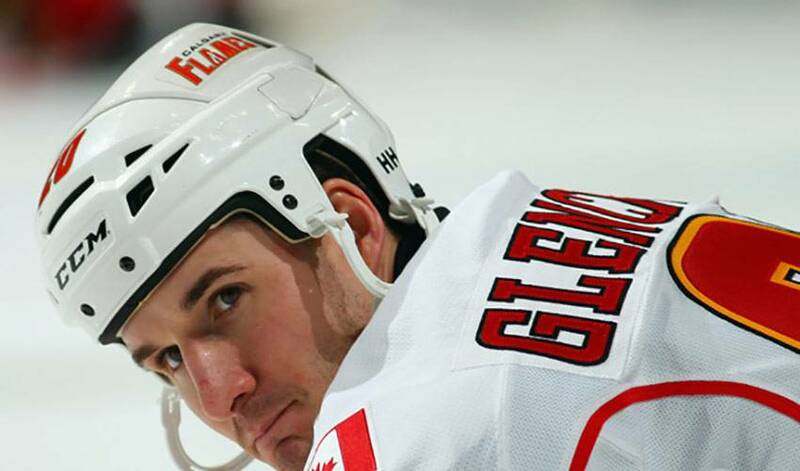 Tough losses and off nights once took their toll on Curtis Glencross. But faith in his game and a winning attitude has made the Calgary forward a force to be reckoned with. It wasn't so long ago that a missed scoring opportunity or a deflating defeat would get to Glencross, who recently returned to the lineup after missing 13 games with a knee injury. But those days are gone for the player who continues to get better and better each season. Simplification of his approach to hockey has made a world of difference. In 2010-11, Glencross, who grew up in Alberta and played collegiate hockey University Alaska-Anchorage, scored 24 goals, an NHL career-best number, along with 43 points in 79 games. This season, he's been even more impressive, well on his way to besting his offensive statistics across the board. The secret behind his success? “I don't really know how to answer that because I haven't really done anything that different year to year,” said Glencross, who signed a four-year, $10.2 million contract with the Flames on May 17, 2011. Glencross has worked hard to get where he is, a player who once had a limited role and who split time between the NHL and American Hockey League. The move to Calgary, however, proved to be a perfect fit. In his first year with the Flames, Glencross responded with 13 goals and 40 points. In 2009-10, his second campaign with the Flames, he netted 15 goals, including his first NHL hat trick in a win against the Carolina Hurricanes. The 29-year-old had four game-winning goals last year and was a plus-six, the fourth consecutive campaign he was a plus player. Glencross, a spokesman for the Special Olympics, is looking to maintain his consistent ways as Calgary seeks to earn a Western Conference playoff berth. As for what would be a satisfying year, personally, Glencross, who led the Seawolves, his collegiate club, in goals (21) and points (34) in 2002–03, doesn't have any specific numbers in mind. Instead, Glencross, who scored a goal, dished out three hits and was a plus-one in his third game back (February 27) after missing some time due to injury, has his sights set on making an impact at both ends of the ice. It's why Glencross wasn't talking big after he scored one goal and recorded four points in a 6-3 home win over the New Jersey Devils in mid-January. Which is precisely what Curtis Glencross strives for in each and every game he plays. Travis Hamonic talks about the importance of making a difference in the lives of Indigenous young people through The Northern Project. You don’t have to read between the lines when it comes to one of Noah Hanifin’s favourite pastimes. When he’s not busy netting short-handed goals, Mark Jankowski can be found tuning in to watch some of his all time favourite big screen flicks. Johnny Gaudreau entered a new year on the heels of a strong December while earning his fifth straight NHL All-Star nod and leading league scoring.